If you’re looking for the power of HANA combined with the flexibility of the cloud, SAP HANA One gives you all the benefits without the traditional hardware investment. Finally! A quick, easy, cost-effective way to evaluate whether SAP HANA is right for your company. What was once a complicated, expensive, time-consuming task is now as easy as the click of a button. 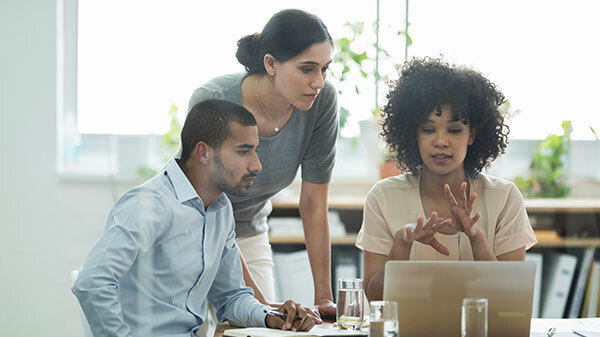 SAP HANA One gives businesses access to a faster, easier way to set-up and implement a proof of concept (POC) environment. Gone are the financial and time investments associated with the traditional evaluation process. HANA One puts you in charge of running a single HANA instance for non-production use without adding servers or buying software. And for companies looking to set-up a testing and development environment, HANA One provides all of the power you need to quickly determine the usefulness and compatibility of a new version of software or newly developed product running off your HANA database. Protiviti can walk you through all of the HANA One options to help you determine what works for your environment. We also help you move data into the cloud as well as set-up your SAP Business Intelligence environment to connect to HANA One or provide you an AWS environment for reporting purposes. Break the physical limitations of traditional on premise HANA requirements without sacrificing speed, agility or power. Let Protiviti help you set up your Proof of Concept environment and find out if HANA is right for your company. SAP HANA One is a single instance hosted on Amazon Web Services where customers can provision a secured instance of the SAP HANA platform. For companies looking to conduct a proof of concept for SAP HANA, those wanting to use SAP HANA as a BusinessObjects data source, or ones needing an easy way to quickly develop new applications, SAP HANA One on Amazon Web Services might be just what you’re looking for. Let the Protiviti experts help you set up and determine whether HANA makes sense for your company. It’s the smart, easy, low-risk way to evaluate SAP HANA. Is SAP HANA One appropriate for my needs? What is the duration of the SAP HANA One license? Does SAP offer short-term licenses? How am I paying for my SAP HANA One instances? All charges are billed by Amazon Web Services, paid by credit card, and the use of the service is governed by Amazon Web Services. Customers pay a single hourly rate for the SAP HANA One instance. Can I apply my on premise SAP HANA software license for SAP HANA One on AWS?